What exactly are tatchos, you may be asking? Some people call them totchos. Some people call them tatchos. But they both start with the same thing- crispy, golden tater tots! Think nachos, but tater tots are taking over the role of tortilla chips. 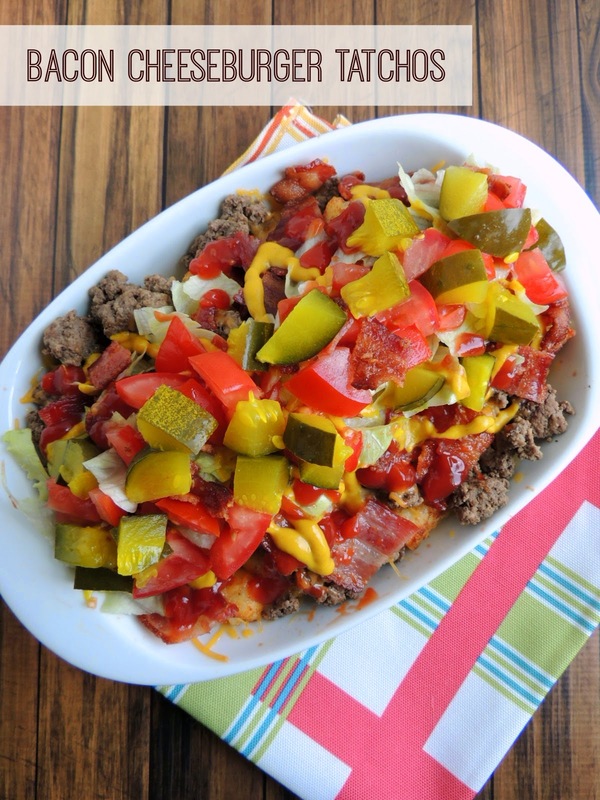 For this tasty take on tatchos, I steered away from the traditional Mexican nacho toppings and went 100% American classic with all the flavors of one of everyone's favorite burgers- the bacon cheeseburger. 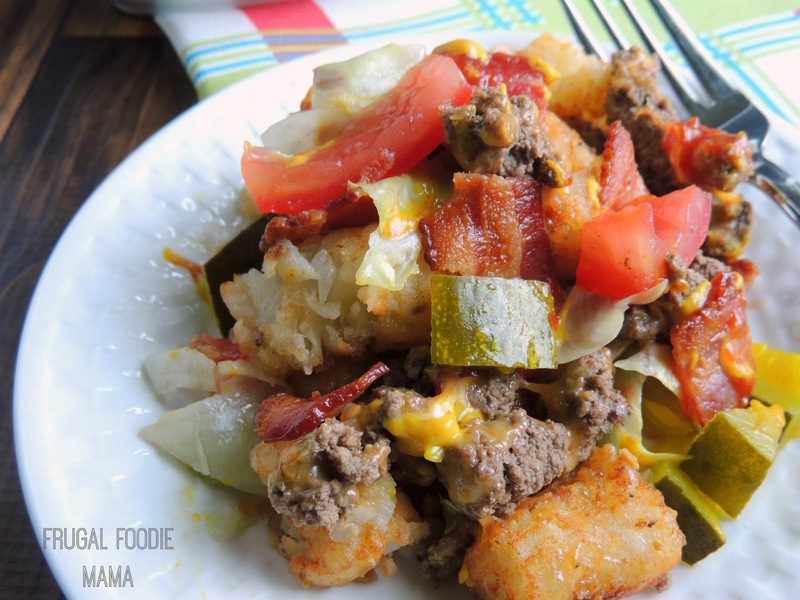 Golden brown tater tots are smothered with perfectly seasoned ground beef, melty shredded cheese, mustard, ketchup, chopped tomatoes and pickles, shredded lettuce, and crispy bacon. Of course, you could add whichever toppings you like and omit the ones you do not like. Toppings of your choice, such as ketchup, mustard, shredded cheese, chopped pickles, chopped tomatoes, shredded lettuce, etc. 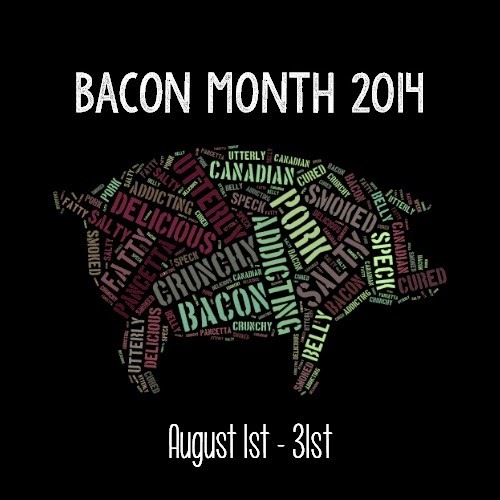 Cook your bacon using your preferred cooking method. I like to bake my bacon. 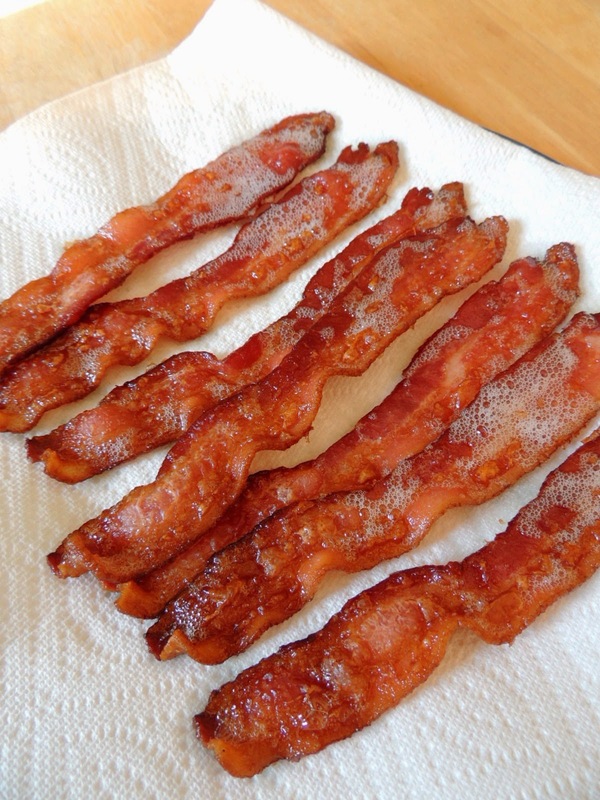 Click here for my post on How To Bake Perfectly Crisp Bacon. Prepare the tater tots according to the package instructions. It should take about 20-25 minutes to bake to golden brown and crispy. While the tater tots are crisping up, combine the hamburger, steak sauce, Worcestershire sauce, salt & pepper in a small mixing bowl until well mixed. Brown the hamburger mixture in a medium skillet with a little olive or canola oil. Be sure to break it up so that you have hamburger crumbles. Gather and prepare your preferred bacon cheeseburger toppings. We used ketchup, mustard, chopped pickles, shredded lettuce, shredded cheddar cheese, and chopped tomatoes on ours. 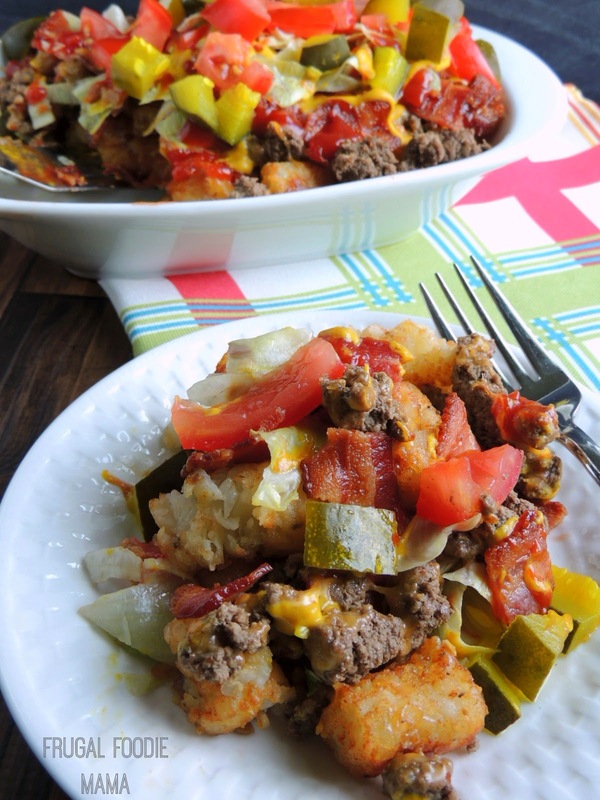 To assemble your tatchos, place the crispy tater tots in a large serving dish in an even layer. Top with the cooked hamburger. Then layer on your cheeseburger toppings and the chopped bacon. I have to admit it, you all. I was super excited about this recipe when I started concocting it in my mind, but even I was surprised by just how delicious this dish was! Even my husband who is skeptical of anything I make that is out of the norm raved about these! Before his first bite this is what he said to me, "Why can't we just have regular bacon cheeseburgers with tater tots?". And after his first bite? "I have to say. This is way better than I thought it would be! Actually, I think I like this better than just have a bacon cheeseburger and tater tots." Have you heard of or had tatchos (or totchos) before? What are your favorite toppings?